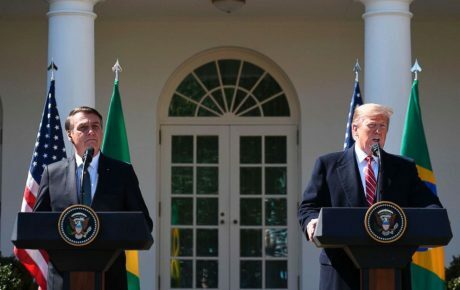 “Trump of the Tropics” is a nickname that has stuck with Jair Bolsonaro, a comparison that Brazil’s president-elect welcomes and fuels himself. The moniker is criticized by many of his opponents, who say Mr. Bolsonaro is far worse than Donald Trump, but the similarities between the two right-wing populists do exist, going beyond their aggressive rhetoric and flagrant bigotry. Brazil’s future president also mimics the U.S. president’s communication strategy. After his victory on Sunday, defeating Workers’ Party candidate Fernando Haddad by 10 million votes, Jair Bolsonaro gave a series of interviews – mostly to docile outlets that jumped on his campaign bandwagon. The only interview that would usually offer him a bit of a challenge was on TV Globo’s Jornal Nacional, the country’s leading evening news broadcast. However, journalists didn’t manage to bring him out of his comfort zone. The president-elect didn’t talk about anything of relevance. Worse, he used the stage to attack the press – in particular, the newspaper Folha de S.Paulo, which published an investigation into an illegal fake news spreading scheme which benefitted Mr. Bolsonaro. 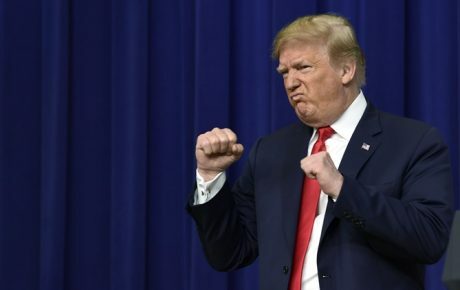 When Donald Trump was still fighting for the Republican Party nomination, he adopted a strategy of frontally antagonizing the press, CNN and The New York Times in particular. Whenever accusations or scandals arose, Mr. Trump never apologized and never provided facts to counter the allegations. Instead, he called the reports “fake news.” This was true then, as it is now, almost two years into his presidency. Meanwhile, the so-called “Trump of the Tropics” said Folha de S.Paulo “is ending itself.” This path chosen by Mr. Bolsonaro mimics the U.S. president. Instead of responding to stories, evidence, or investigations, he simply derides the messenger and does not approach the content of the message. Mr. Trump nicknamed his least favorite newspaper the “Failing New York Times,” suggesting that it should not be taken seriously for business reasons. That’s precisely what Mr. Bolsonaro did. This strategy is based on the assumption that traditional media does not mediate mass communication in the world anymore. And everything indicates that this is true. Brazil is not a country of readers, and journalism has been suffering as it is everywhere else in the world. Truth be told, the press has been delegitimized not only by Jair Bolsonaro but also by the left, which accused reporters of persecuting the Workers’ Party – especially when Operation Car Wash started to gain momentum. As Daniela Lima, a Folha de S.Paulo columnist, said on CBN radio, Mr. Bolsonaro is not the first president to criticize the press. Fernando Collor de Melo, Fernando Henrique Cardoso, Dilma Rousseff, and Lula, of course, all did it. But the difference is that none of the past presidents treated the press as a political enemy. “Mr. Bolsonaro defeated the Workers’ Party in the elections and now he needs new antagonists,” Ms. Lima said. 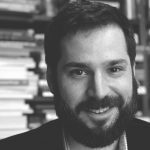 The difference between the United States and Brazil, according to University of São Paulo professor Pablo Ortellado, is that here both sides try to undermine the press’ credibility. 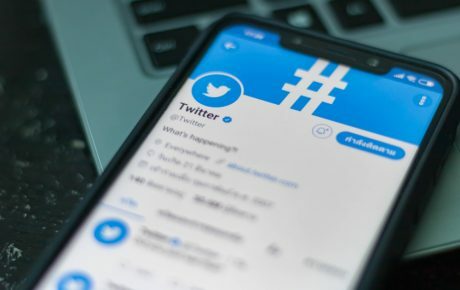 Both presidents have been able to establish direct channels with their electorates, either through friendly media outlets or through social media. This scenario has been in the making for years. The internet has multiplied the number of content broadcasters, leaving the press buried in the citizens’ timelines and cell phones. Before, news came from a few select sources: TV (with few channels), radio (with a limited number of broadcasters) and newspapers (read by few Brazilians). Now there is a constant bombardment of content. Not by chance, journalism has disappeared amid memes, videos, jokes, and conspiracy theories. The international right understood this quickly and tried to engage the networks where these messages could resonate better. More than just diminishing journalism’s readership, this new scenario did something central to Trump/Bolsonaro’s strategy: it undermined the credibility of these outlets. Both realized that they no longer needed to report to journalists to be elected and govern. In the last few decades, however partial, newspapers and magazines played the role of mediator between society and politics. The representatives had to respect the press, which, to a greater or lesser extent, supervised power. Although this mechanism was not perfect, there was at least one formal protocol. Mr. Trump and Mr. Bolsonaro are throwing this all away. They make no point of answering accusations, of responding to questions, and they see no problem in lying live on TV. After being forbidden by the electoral courts from talking about the false “gay kit” during the campaign (that was deemed false by all fact-checking agencies in Brazil), Mr. Bolsonaro went back and talked about the gay kit on Jornal Nacional. Why did he do it? Because it does not matter to him how often the press says he’s wrong. His communication network is armored against journalism. Even if these criticisms or reports reach those affected by the president-elect’s communication strategies, the issuers have no credibility. Whether it comes from the Workers’ Party or Folha: for Bolsonaro’s supporters, both are one and the same. It is in this pillar that lies the entire strategy of Trump and Bolsonaro. Of course, there are many other factors that create this scenario and are intertwined with it, but the point is that neither depends on the press. More than that, they use it to fuel controversies and keep their opponents busy, vociferating against the absurdities they say. These controversies serve only to feed those who agree with Bolsonaro and Trump and prove that the press, and those on the “other side,” are after them. If once upon a time Donald Trump and Jair Bolsonaro seemed like crazy people seeking attention, today we see that they were building an audience that later would become their electorate. They masterfully understood that in order to win votes they did not have to act in the classic ideological way, working from a cohesive party and with a clear platform. 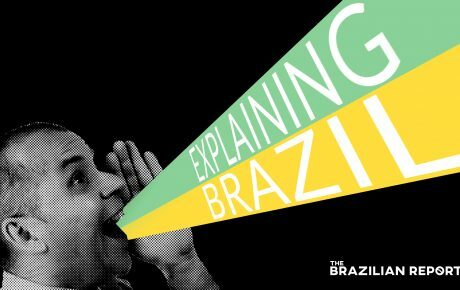 They invested in the typical reactivity of the internet to convince citizens that they were desirable outlets for the political problems of the USA and Brazil. The duo knows that political education is very fragile (not to say non-existent), so they have been successful with platforms that seem empty to the eyes of those who have the 20th century as a parameter of political action. Political scientist Bernard Manin made a precise diagnosis more than 20 years ago, saying that representative democracy was threatened by a phenomenon called “public democracy.” Manin realized that political parties were becoming irrelevant because politicians could communicate directly with voters using television. A competitive candidate is no longer someone with ideological or programmatic coherence, but a professional who masters communication techniques. That’s exactly what we’re seeing today. To update Manin’s diagnosis, the internet has become this immediate channel, which does not depend on parties, programs, absolutely nothing. It is important that we perceive this so that the public forum of opinions is not completely hijacked by this logic. It is still not clear, in practical terms, what we can do to dismantle this mechanism – although there are already some ideas. But we need to be aware that Trump and Bolsonaro are not “crazy” or “dumb” politicians that say offensive things on national TV because they can’t help themselves. It’s all a strategy. To counteract this, one must accurately diagnose the essence of their set up, which is a model at work in many other countries. To bet only on reactivity puts democracy in the hands of agents who clearly want to sabotage the moral and conceptual structures of this type of government. To halt these toxic political communication strategies, society will have to rethink the way information circulates. Has Donald Trump changed Brazil-U.S. relations?